I’ve been back working with children on the ward and in the classroom at Evelina Children’s Hospital School. 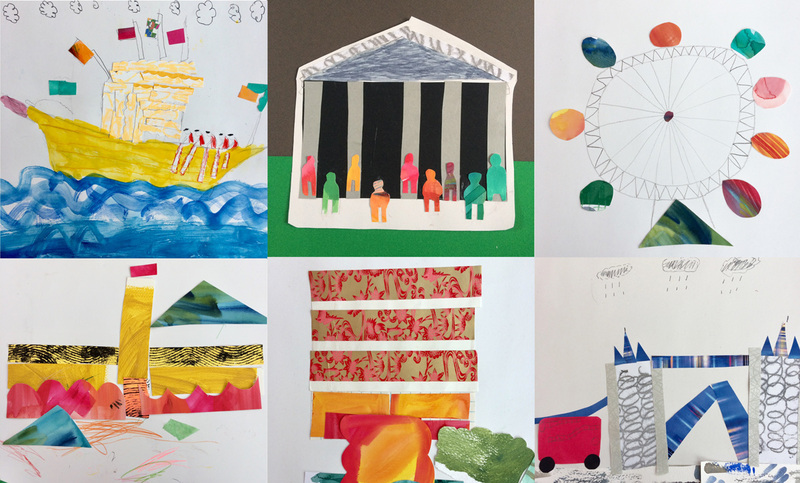 Together we made another big book, using collage and drawing, this time on a theme of London Landmarks. As always the children inspired me with their vision of an exuberant, colourful London, with a diverse crowd visiting the British Museum (top centre) and the royal barge Gloriana tackling some impressive waves. This entry was posted in collage, drawing, Workshops on February 27, 2018 by Jane Porter.